Have you hit a point in your life in which you’re pretty comfortable doing what you’re doing? You’ve no doubt gained a lot of experience through the years, and even though you know you’re weaker in certain areas, for the most part you know how to do your job, and even excel at it. You have several well-developed strengths that others no doubt admire. But, at times, you’re finding that it’s necessary to focus on ticking the items off of your to-do list instead of trying to hit a higher bar, because you’ve got plenty on your plate without adding more. Striving for more seems like work, and you’ve got lots of that already thank you very much. This is more or less the state in which I find myself today. I’m definitely stronger in certain verticals compared to others – and this is probably more likely to happen in situations where you’re spread out like I am – but I feel all around competent, and for the most part confident in my work. However, there’s a new theme that’s been emerging in my life. My colleagues, coworkers, clients and band mates are all calling me to a higher standard. In essence, they’re saying, “D.A., we know you’re really good at what you do, but you can be even better.” Not in those exact words, but they’re seeing even greater potential in me than maybe I’ve been seeing in myself. I wonder a little bit if this is because I have several different careers and projects progressing all at once. My time is divided, and I can’t be as focused as I would like to be on any one thing. If I’m focused on a single thing in particular right now, it would be eliminating debt, and to that end, I am making good progress. But that has meant taking whatever opportunities come my way. I haven’t been terribly choosey, so long as the gig or the project pays. I want to be more streamlined than I am, but when I remind myself that freedom from debt is the goal, I have context for what I’m doing. Otherwise, I’m not sure that I could identify a lot of commonalities between my different duties. I still trust in the notion that everything I learn will somehow help me in my future endeavors. Nothing will be wasted, even if it means that an entirely new role needs to be invented for me somewhere down the line. Notwithstanding, this does mean that I don’t have as much time to focus on getting better at everything I’m doing. As I’m sure it is with anyone else, I can manage two or three focuses just fine. If expectations continue to increase in every area of my life, though, I can’t become better at every vertical. There is a part of me that wants to rise to the challenge. Maybe I can be better. Maybe, just maybe, if I managed my time and energy better and dedicated myself to more study, maybe if I was more vigilant, I could do it all. There is also the possibility that I’m trying to play the superhero, and that I’m trying to live up to unrealistic expectations. In general, I think that growth is good. If you’re being stretched, it means that you have the potential to become more than you already are. It isn’t comfortable by any means, but it will only feel unnatural for a season of time. Eventually, if you stick with the process, you will catch up to where you need to be. For me, it’s a bit of a delicate balance right now. I wonder how much of this could be considered growth, and how much of it is me trying to be a superhero? How much of it is me trying to please everybody? I have to admit that – despite the abundance of opportunity available – there is a little bit of fear attached to quitting or leaving any one thing. What if I can’t pay my bills anymore? What if I end up upsetting somebody? What if I make a choice and find out that it’s the wrong one? If I’m going to consider the worst case scenario, I may as well look at the best case scenario as well. What if I streamline and I find that I’m finally able to focus on what fulfills me most? What if I end up earning more money? What if some of my clients, coworkers and colleagues are relieved when I leave? What if I make a choice and find out that it’s the one God or the Universe has been waiting for me to make? The latter definitely sounds risky, but it’s not beyond the realm of possibility, don’t you think? Decisiveness is something I’ve had trouble with in the past, and I haven’t found that it has gotten any easier with time. There are multiple directions in which I could go, and I would find many of them fulfilling. It’s hard to choose. However, if I had to narrow it all down to two or three things again, I think I know which I would choose. I suppose that’s a pretty good indicator of where my heart is leading me. I don’t have all the answers, and that’s why I’m curious to know what you think. If you are in the same situation as I have been, or at least in a similar situation, you’ve no doubt thought about these things as well. Do you think your growth will eventually catch up to the point where you can handle more, or do you think that there’s a necessity to be more selective with your time and your energy? It’s probably a bit of both, but which side are you leaning towards more? 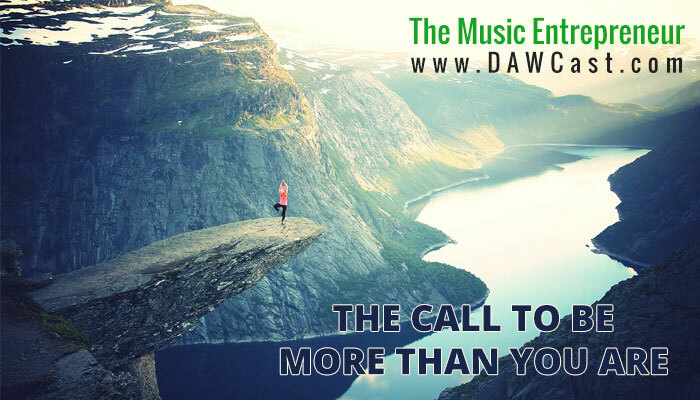 Are you finding that there is a call to be more than you are right now, and if so, what does that look like for you? I look forward to seeing your thoughts in the comments.